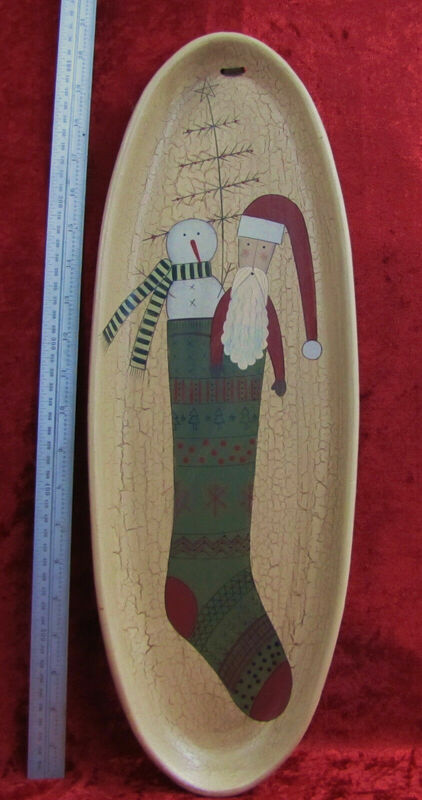 Up for sale we have this used collectible The Hearthside Collection country primitive oval Santa and Snowman wall plaque item #31073. Please study the photos as they are an important part of the item description. First off, this plaque does have two scratches on the back side of the plaque (see photos), but overall it is in very nice condition. 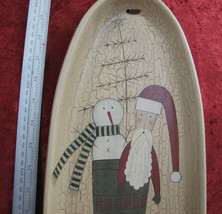 This wall plaque is beautiful! 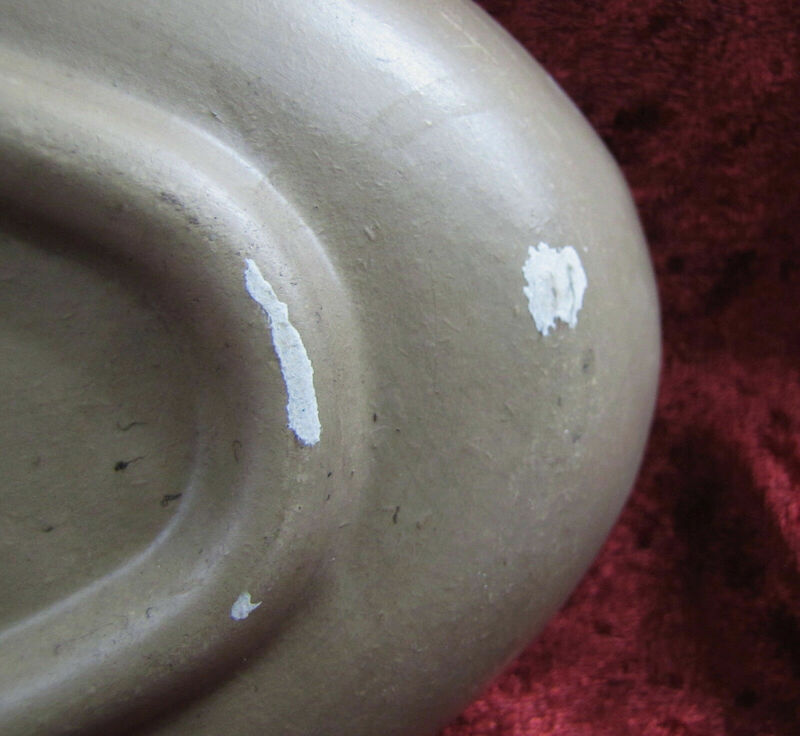 The plaque is painted tan and crackled. There is an adorable Santa, snowman and tree with a star on top in a darling green stocking which has stripes, polka-dots, stars, Christmas trees and plaid decorating the stocking. This plaque is made from some sort of composite material that looks like wood. 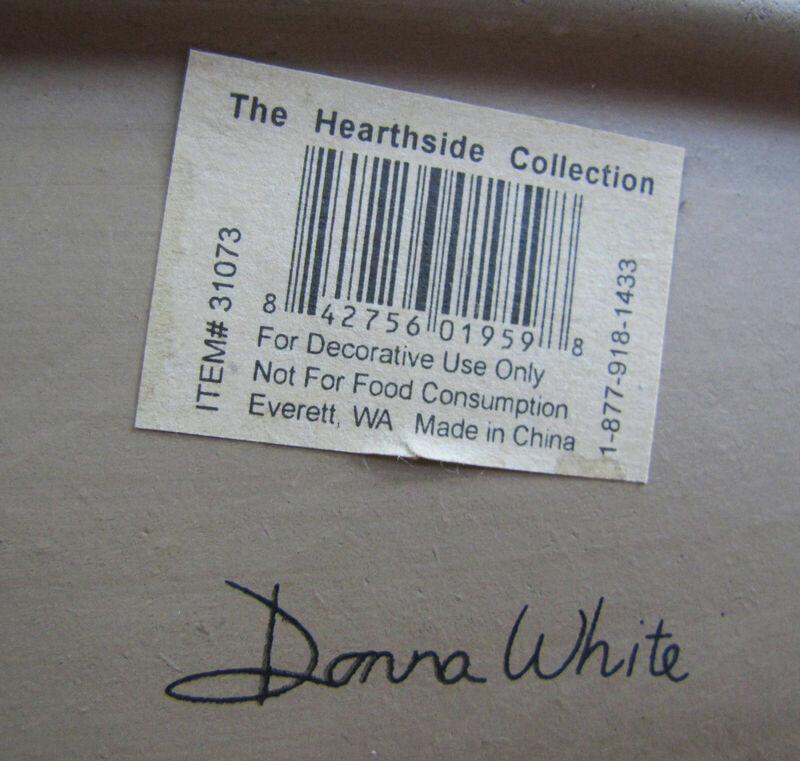 The back side of this wall plaque is signed by the artist, Donna White. 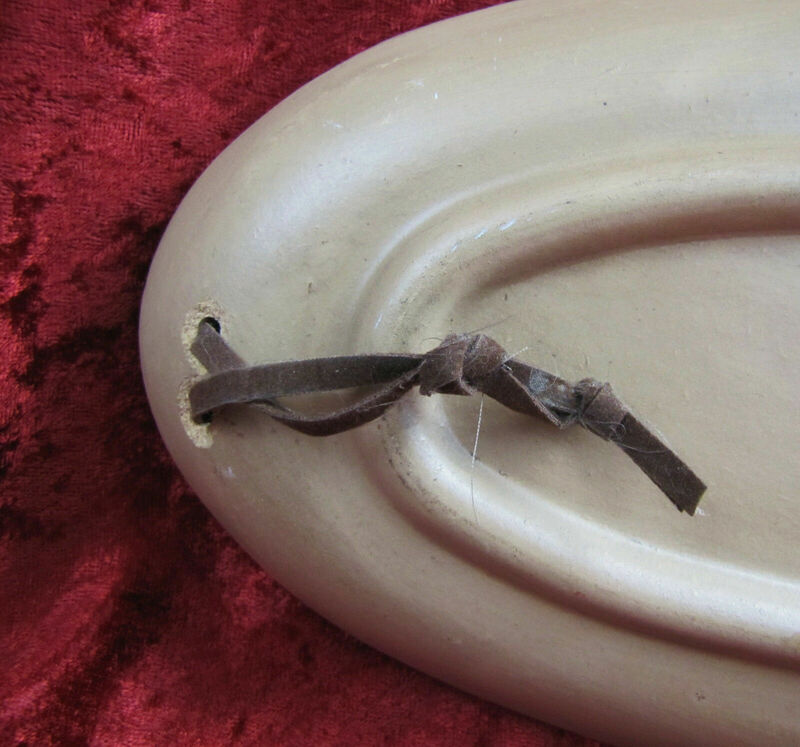 This wall plaque has a rope for hanging on the wall. 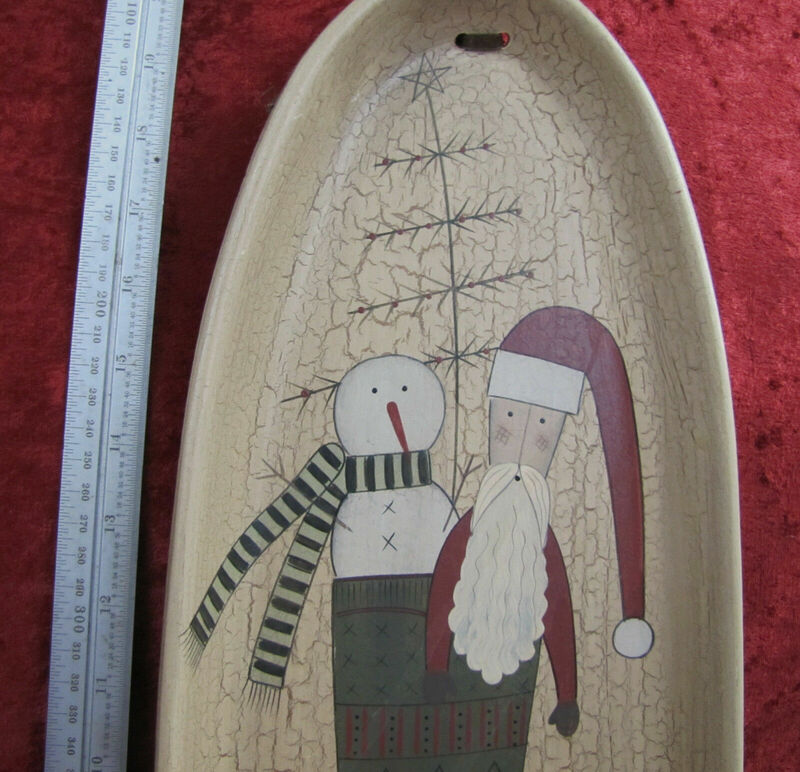 This wall plaque measures 20-1/4 inches tall by 7 inches wide and the stand alone weight is 1 lb. 9 oz. 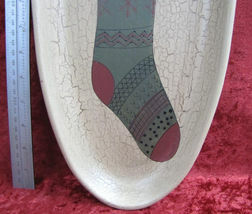 Indeed a gorgeous addition to your country primitive holiday décor. 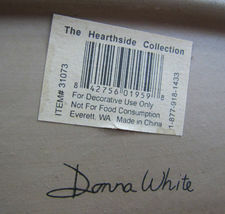 Thank you for looking and please visit my other auctions and store for more interesting items! Payment is kindly expected within 3 days of the close of the sale or auction. I will combine shipping costs whenever possible and feasible. I mail all of my sales via USPS Priority Mail unless otherwise mentioned in the auction listing. Pennsylvania residents must pay 7% sales tax.